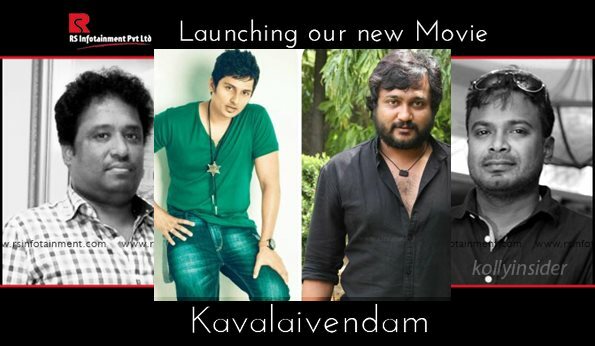 Viewers are aware that Tamil actor Jeeva has signed a new film in the language titled 'Kavalai Vendam'. RS Infotainments are producing this Jeeva starrer. Acclaimed actor, Bobby Simha, who shot to limelight for his portrayal in Jigarthanda as ‘Assault’ Sethu, will be joining the sets of Kavalai Vendaam. The actor has confirmed that he will be making a guest appearance in the film and has thanked the filmmakers through a micro-blogging site for giving him the opportunity. Renowned film production company lead by producer Elred Kumar has released a press note with the details about their film. Kavalai Vendam makers are yet to finalize heroine to pair opposite Jeeva. Bobby Simhaa will be seen in a special cameo in the movie. Deekay of Yaamirukka Bayamey will wield the megaphone for this breezy rom-com, Kavalai Vendam. Music: SN Prasad, DOP: Mukesh, Art: Senthil, Editor: Anthony L Ruben, Choreographers: Brinda, Viji are part of Kavalai Vendam crew. Kavalai Vendam shooting starts from mid April.